I had some girl time and experimented with nail polish. I'm calling this my I've Got the Blues Manicure. I know, really original. 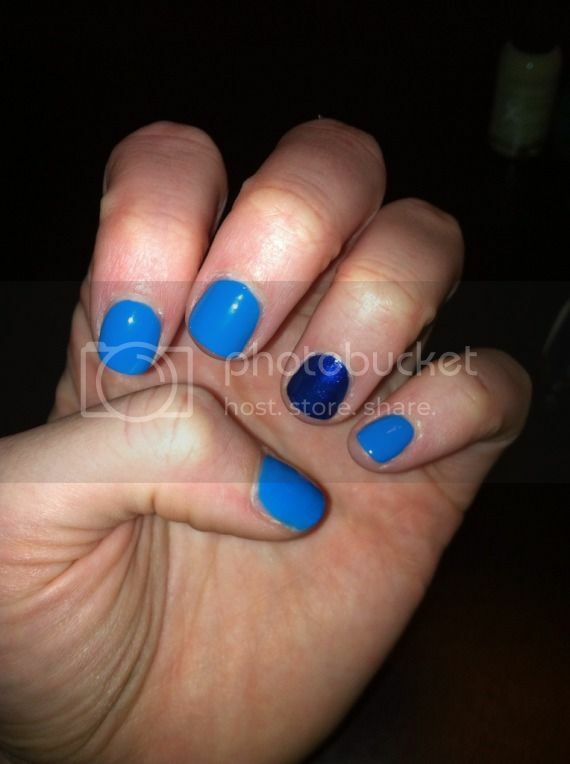 I'm loving blue for spring and not just on my nails. Here's what else I'm loving! I love love this mani and the shape of your nails is so pretty! Is that weird to say? ha I never wear blue but am expecting one in this month's Julep box so I'm excited to try it! Hi dear beautiful blog! I would love for you to enter in my giveaway :) keep up the lovely work..